Wondering how to keep your guests warm as you exchange your vows outside? Want to take advantage of fun autumn props when it comes to your photo session? Follow these fall wedding planning tips to make the most of this lovely season. 15. Dip green apples in caramel or toffee, wrap them in cellophane and tie them up with twine to send home with guests as favors. Photo courtesy of QC Weddings. 16. Give guests fruit tarts or miniature pies in tiny, individual dessert boxes. 17. If you’re a DIY bride – or just a whiz in the kitchen – make Autumn Brittle with cashews, almonds, pumpkin seeds and cranberries to pair up with the favors. 18. 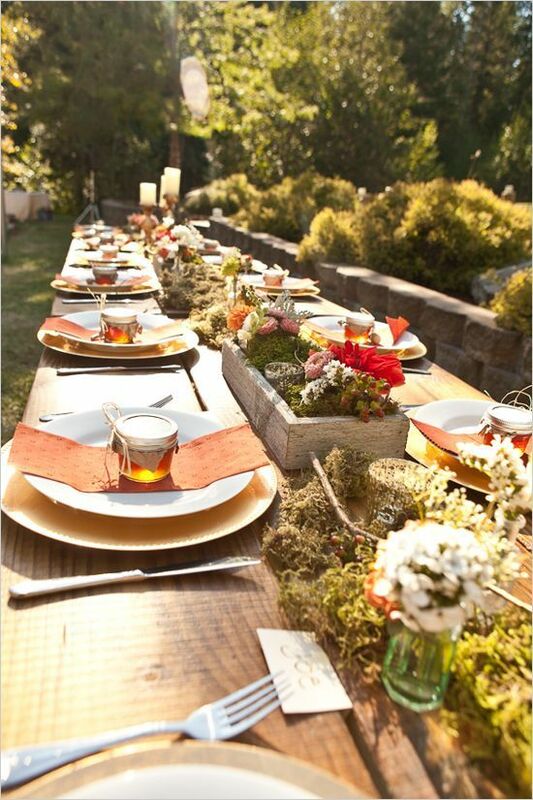 Is any part of your fall wedding outside? Have a stack of thick wool blankets for guests to keep warm under. 19. Ask the bridal party to surround the bride and groom and toss leaves in the air as the couple kisses. 20. Place your engagement ring and both wedding bands over a pumpkin stem. 21. You’ll undoubtedly have a pair of beautiful stilettos to wear on your wedding day, but bring along a pair of chunky leather boots for a chilly weather-inspired photo shoot. Photo courtesy of Mod Wedding. 23. Fill lanterns with small pumpkins and gourds to use as either centerpieces or on the dessert and gift tables. 24. Use colored glassware instead of traditional clear glass. Amber or deep red make beautiful glassware colors for an autumn wedding. 25. Use strands of leather to tie up napkins at each place setting. Photo courtesy of Lunch Box Bunch. 1. Peel, core and chop up one of the apples. 2. Combine the Chardonnay, Schnapps, pisco and honey in a bowl. Then, add the orange that’s been quartered as well as the lemon, lime, chopped apple, cinnamon sticks, ginger and cloves. Refrigerate for four hours or more. 3. 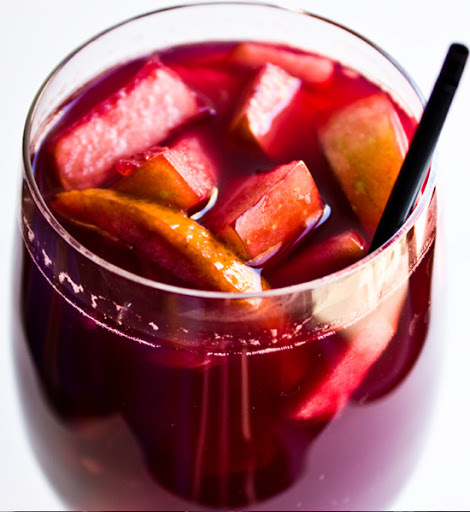 Strain the sangria into a pitcher. 4. Peel, core and finely chop up the second apple. 5. Peel, section and chop of the second orange. 6. In a bowl, combine and mix the apple and orange. 7. To serve, blend the sugar and cinnamon together on a plate. Moisten the rims of wine glasses and rim with the cinnamon-sugar mixture. Fill each glass with ice and pour sangria until each glass is three-quarters full. Fill the rest of the glass up with club soda. To garnish, use a spoonful of chopped apple and orange as well as a sprig of mint.